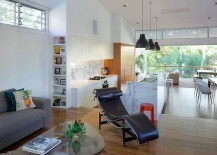 One of the hardest parts of home design is to unearth space when none exists. 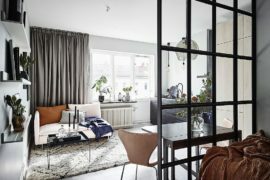 This often means turning to space-saving cabinets and décor that takes up little square footage, as well as utilizing clever tricks that give the impression of an airy, open interior. 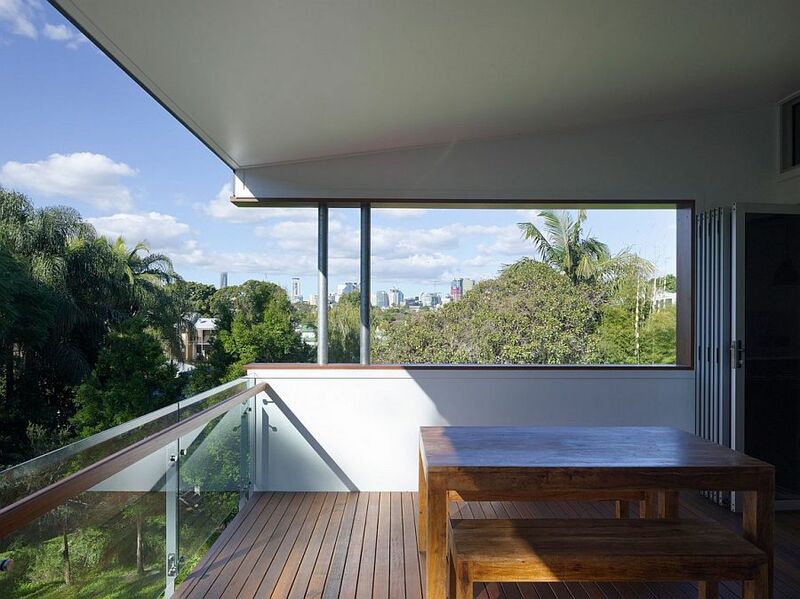 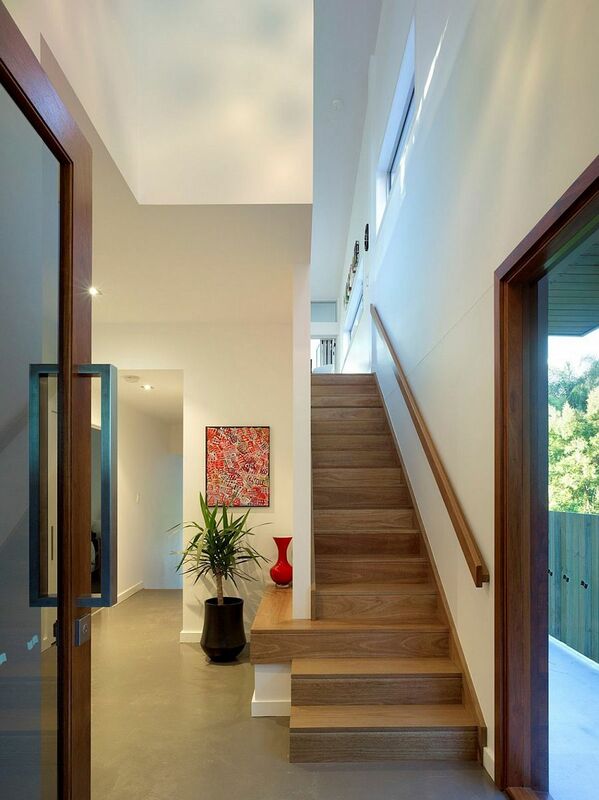 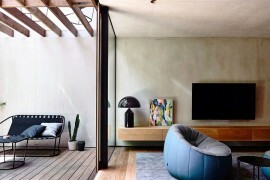 But the beautiful Bowler private residence in Paddington, Australia takes a different approach to space maximization, as it arranges spaces in a series of internal steps to not just create the impression of a breezy, cheerful home, but also to make the most of the city views on offer. 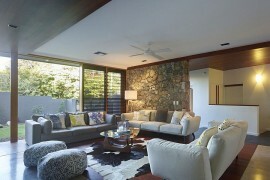 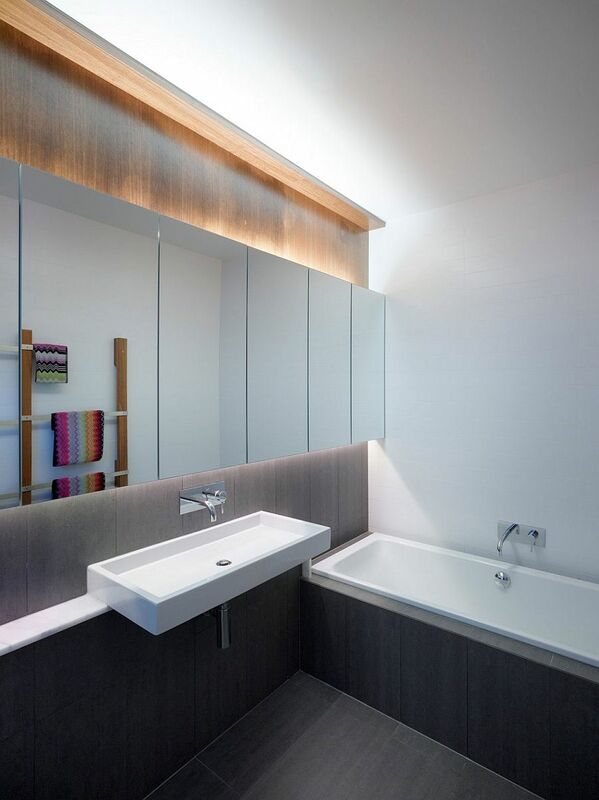 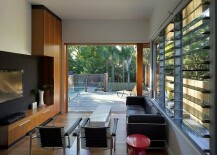 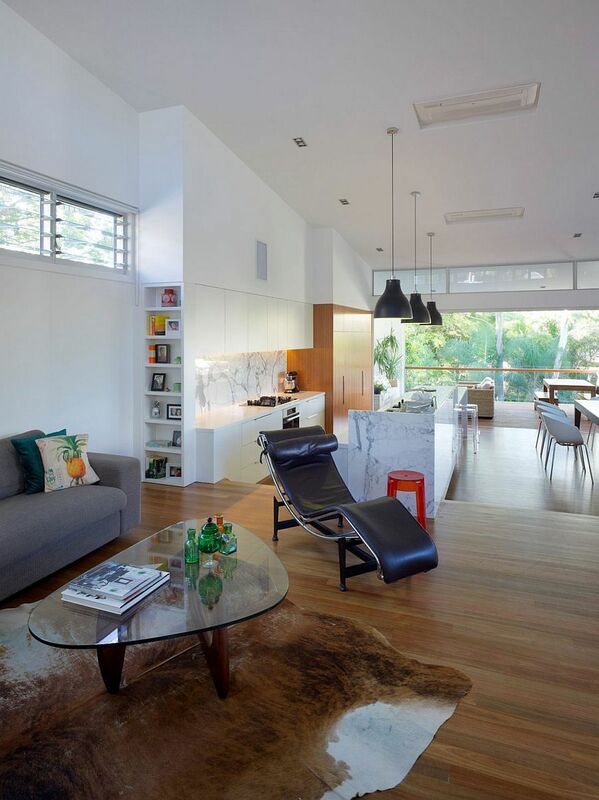 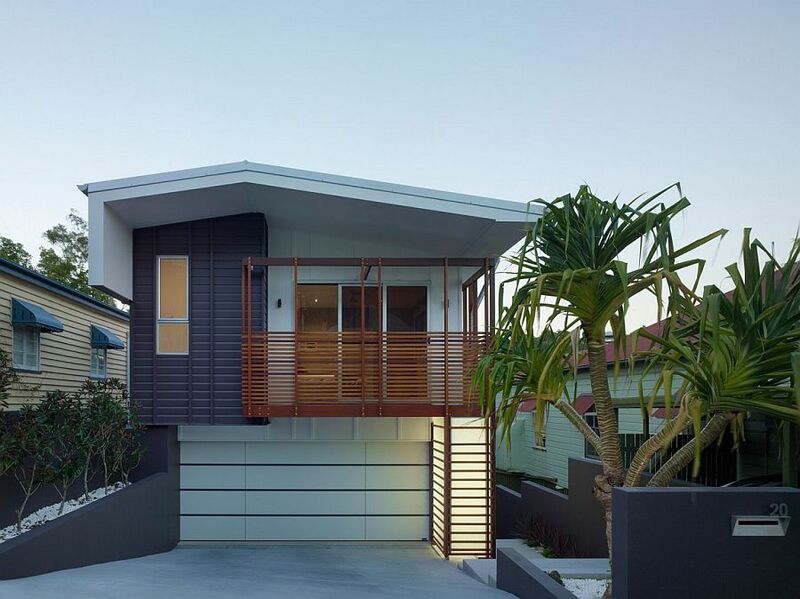 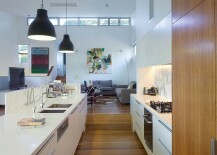 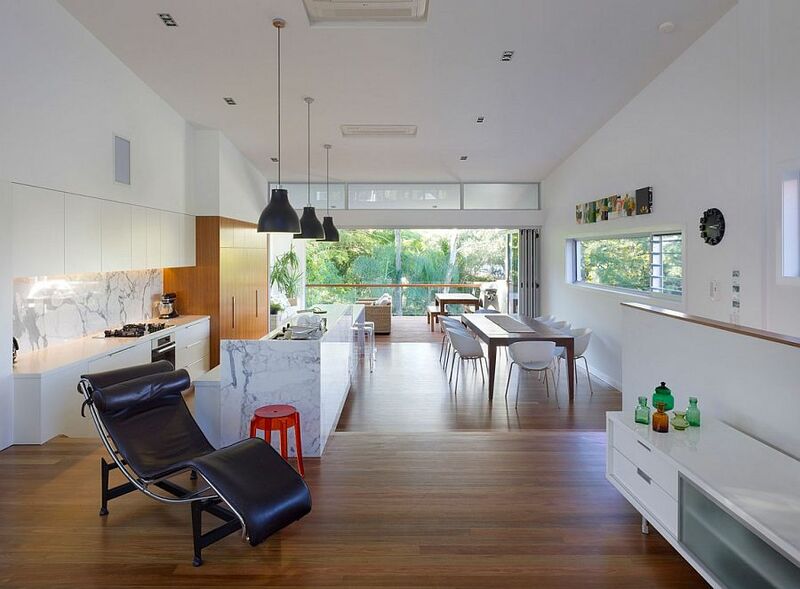 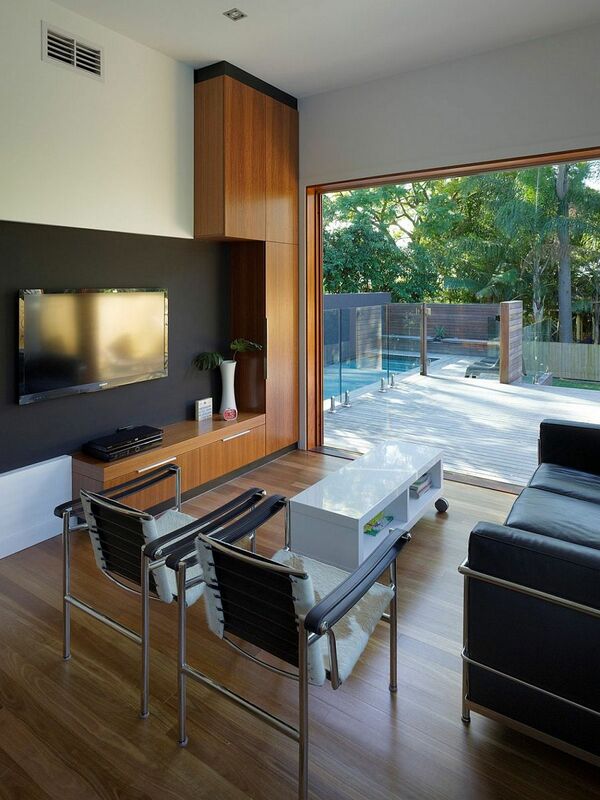 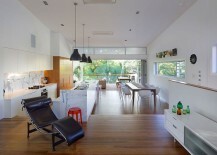 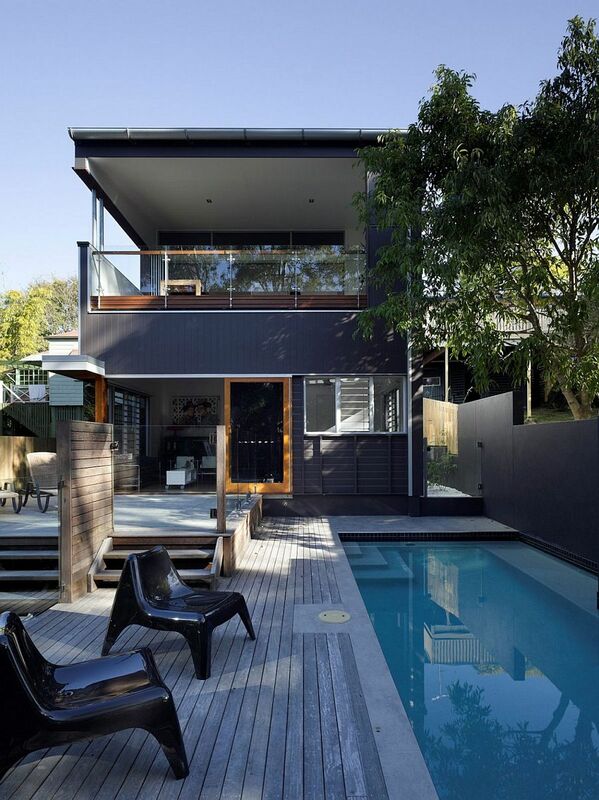 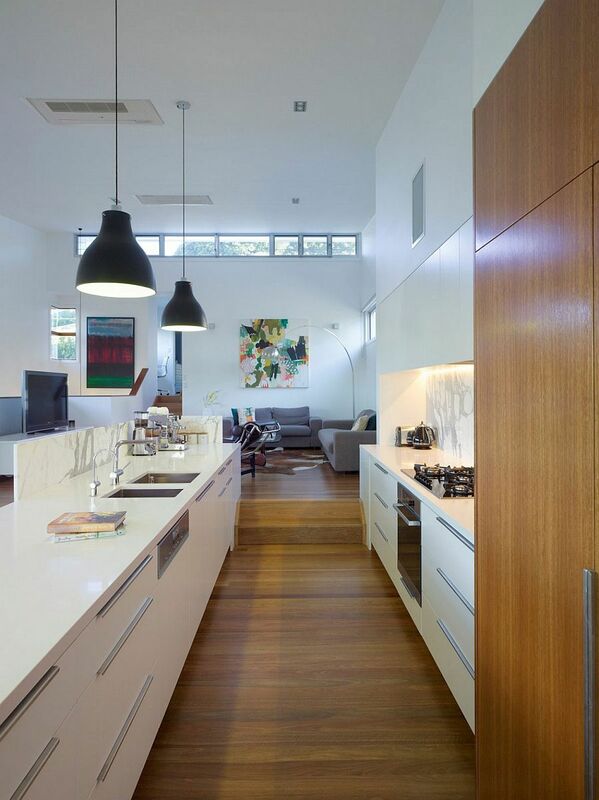 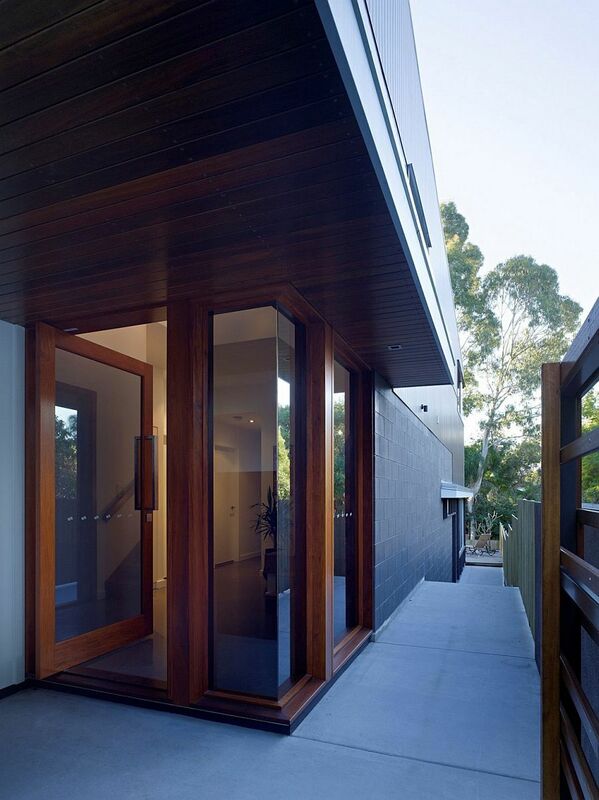 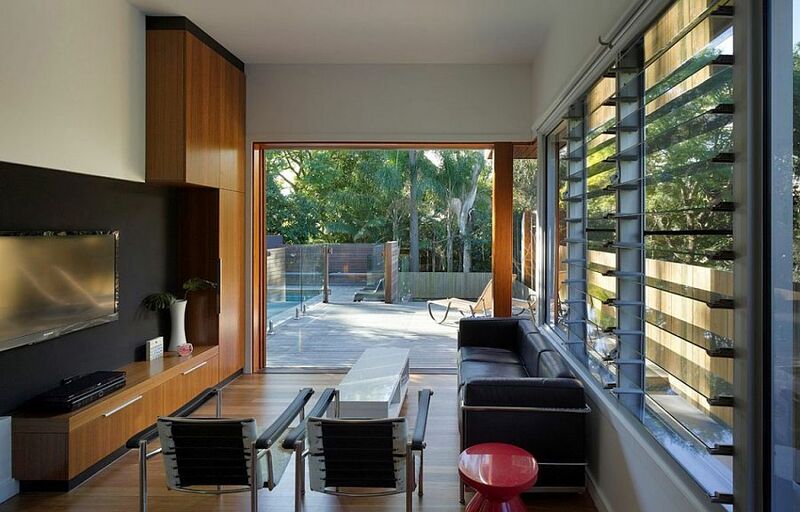 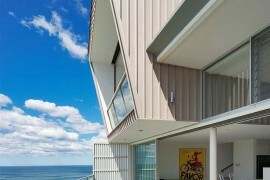 Designed by Tim Stewart Architects, this modern home is all about organizational skill and meticulous planning! 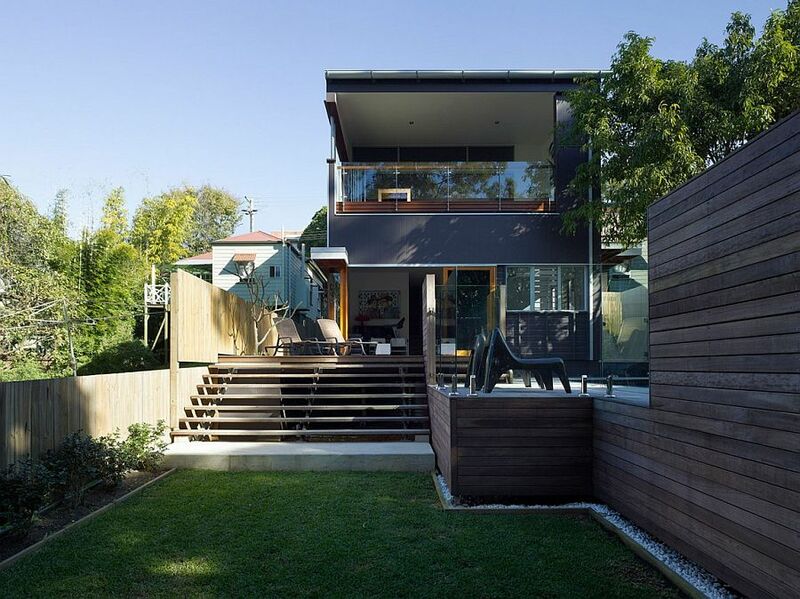 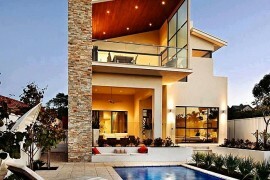 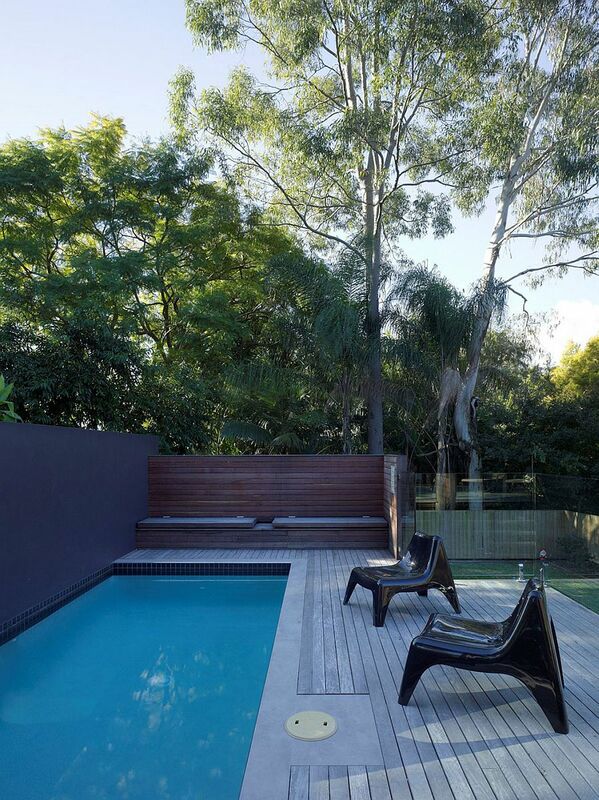 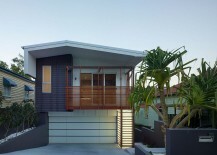 Paddington is an inner suburb of Brisbane that is nestled largely on steep ridges, hills and undulating terrain. 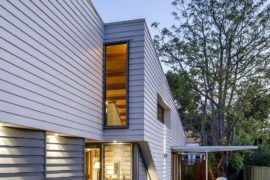 It is barely a surprise then that this lovely family home also sits on a steeply sloping lot, which defined the overall silhouette and style of the residence. 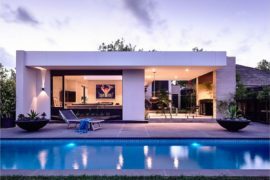 The lower level contains bedrooms, a guest room, laundry and additional spaces, while it is the second level that houses the main living area, kitchen and dining space along with the master suite. 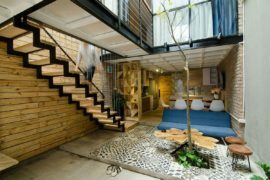 It is the step-styled arrangement of the each space that delineates one from the next while minimizing the necessity of walls and partitions. 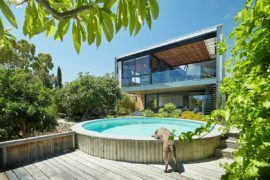 A large wooden deck, barbecue zone and pool area become an essential part of the interior, extending the family zone into small, private patio. 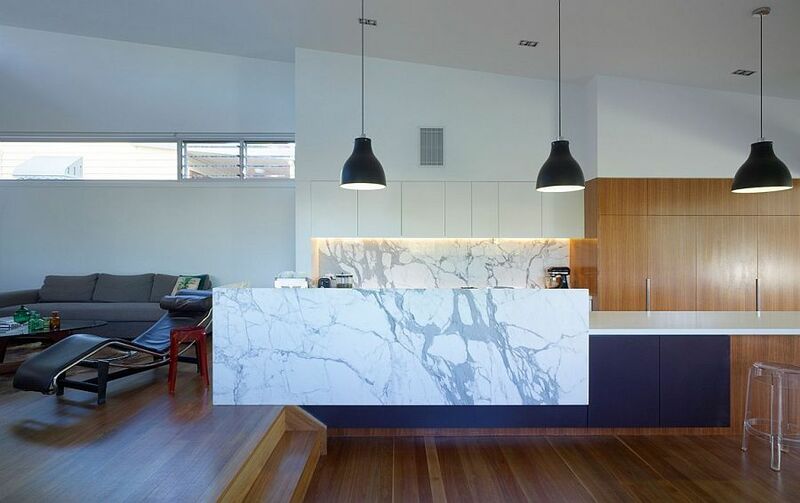 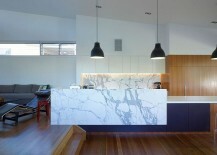 The captivating use of marble for the kitchen backsplash and island, comfy midcentury décor in the living area, and a neutral color scheme add to the contemporary panache of this exquisite Aussie home.